The New Flyer Industries D45S (sometimes designated D45HF), named the Viking, was New Flyer's commuter coach offering. New Flyer worked with their parent company Den Oudsten Bussen to develop the Viking. It was first presented as a concept illustration in 1997 with a slightly different design, featuring a wide single passenger door with a glass surround, three-piece windshield that did not wrap around to the sides, and a different front fascia, which matched Den Oudsten's corporate design language of that era, and featured a headlight and turn signal arrangement similar to the Low Floor's. A Den Oudsten-branded version for the European market was also planned but never produced. The production version of the coach featured narrow double passenger doors with no glass surround, a two-piece split windshield with separate destination sign window, and redesigned front fascia with headlights and turn signals from the Ford Econoline. The first two coaches were built by Den Oudsten and are identifiable by an early version of the redesigned front fascia. Coaches produced by New Flyer featured further revised front fascias. Due to competition from other manufacturers, as well as a general lack of customers for the unique vehicle, the Viking was unpopular, having only been produced for two years (1998 and 1999) and subsequently discontinued. The Metropolitan Transit Authority of Harris County of Houston and the Metropolitan Transportation Authority in New York were the only customers to purchase the Viking new. Houston's 101 Viking coaches were used on its express routes, and New York's three coaches were confined to the X51 route. Both agencies have retired their fleets from service. Many have found their way into the second hand market. 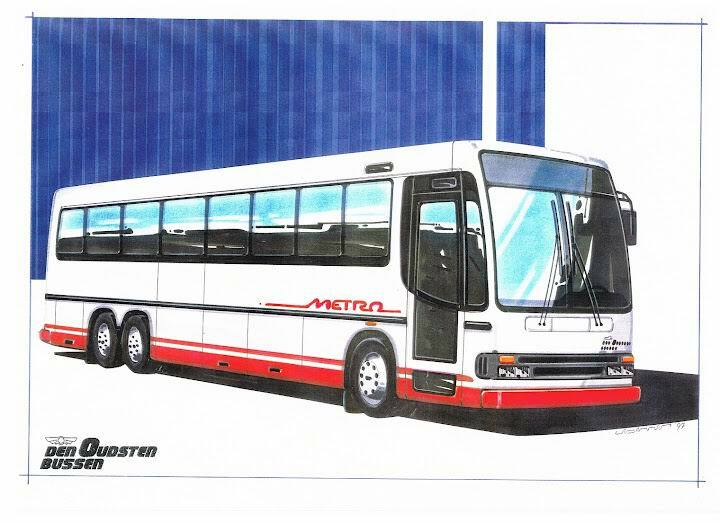 Pilot bus for Houston METRO, numbered 4700. This page was last modified on 14 January 2019, at 07:00.